Coffee blend in capsules for two. 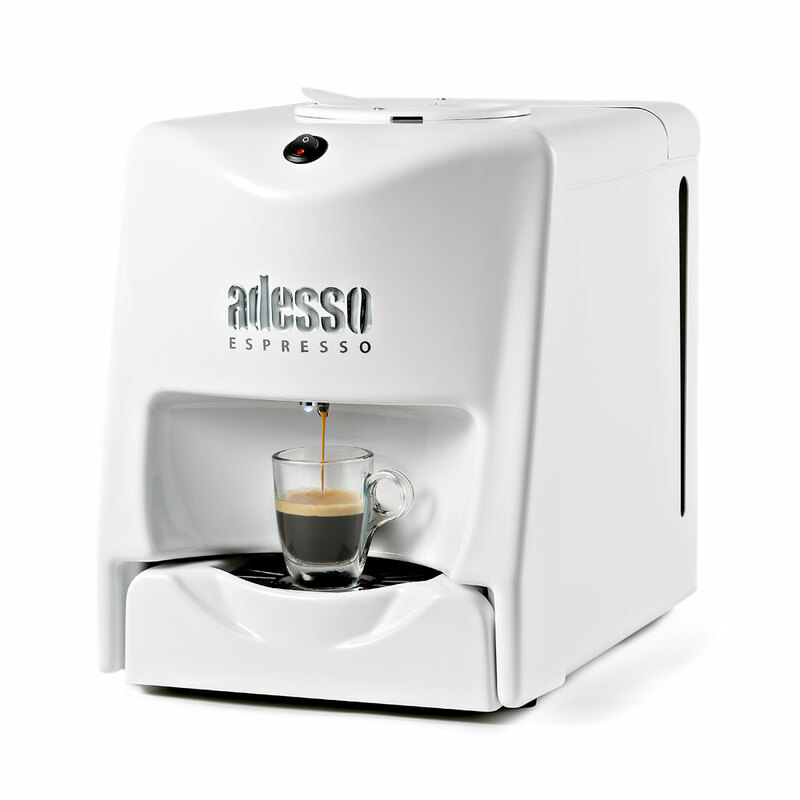 The coffee maker Adesso Espresso 2.0 offers the convenience and innovation you were looking for. Elegant design, exclusive MADE-IN-ITALY technology and simplicity. Adesso Espresso 2.0 will give you the experience of authentic bar-made Italian espresso in the comfort of your own office or shop – a simple way to savour the delightful taste of our coffee blends. Our patented extraction system assures a steady pressure level in the machine, allowing a complete and homogeneous brewing of the blend in the capsule. This method ensures that the coffee will retain all of its aromatic and organoleptic properties. All materials and components are designed in Italy, meeting high-quality standards and complying with all CE health and safety standards. The ADESSO ESPRESSO coffee maker is synonymous with reliability, longevity, and ease of use and maintenance.